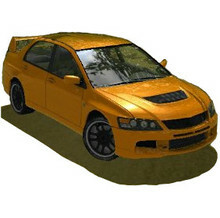 Stunt Rally, a free and open-source game based on VDrift and OGRE, with Track Editor, now is at version 2.3. Here’s how to install Stunt Rally 2.3 in Ubuntu 14.04 Trusty LTS. Game tab with track settings: gravity, wind, deny reversed, etc. The new release is available in PlayDeb repository for Ubuntu 14.04 and their derivatives.